Herefordshire Wildlife Trust manages more than 11 acres of orchards in its reserves and at its headquarters at Lower House Farm on the outskirts of Hereford. Lower House Farm is a Jacobean timber-framed farmhouse dating from 1614. The farm house has been fully restored and is now the headquarters of the Herefordshire Nature Trust. 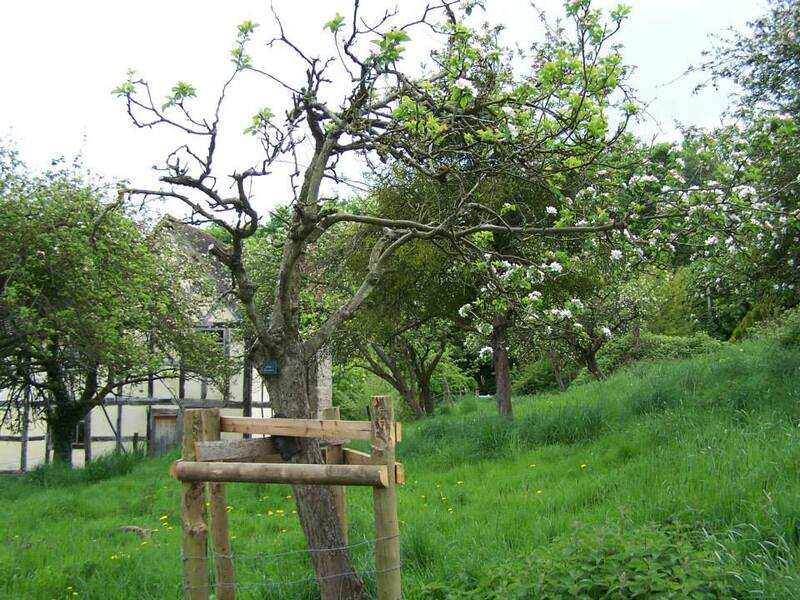 The orchard area behind the farmhouse contains a mixture of old and newly planted fruit trees. The original orchard was extended in 1998, by planting additional old Herefordshire varieties of apple, pear and plum. One of the most distinctive old trees is a fine Huff Cap pear. Parties of fieldfares and redwings can be seen here in autumn, while yellowhammers breed along the boundary hedges. The grass in the orchard is grazed by cattle. The reserve consists of three parts; Monument Hill, North Meadow and Old Cider House. The reserve is managed as a traditional meadow and pasture. Coarse vegetation in the orchard areas is controlled by grazing or mowing in late summer. In recent years more young trees propagated from old Herefordshire varieties have been planted to help restore the orchard. The reserve comprises a block of three traditional Herefordshire hay-meadows, a small orchard area, two ponds and a complex of old hedgerows. The small pear orchard had fallen into neglect, but has now been restored and replanted with a range of traditional perry pear varieties. 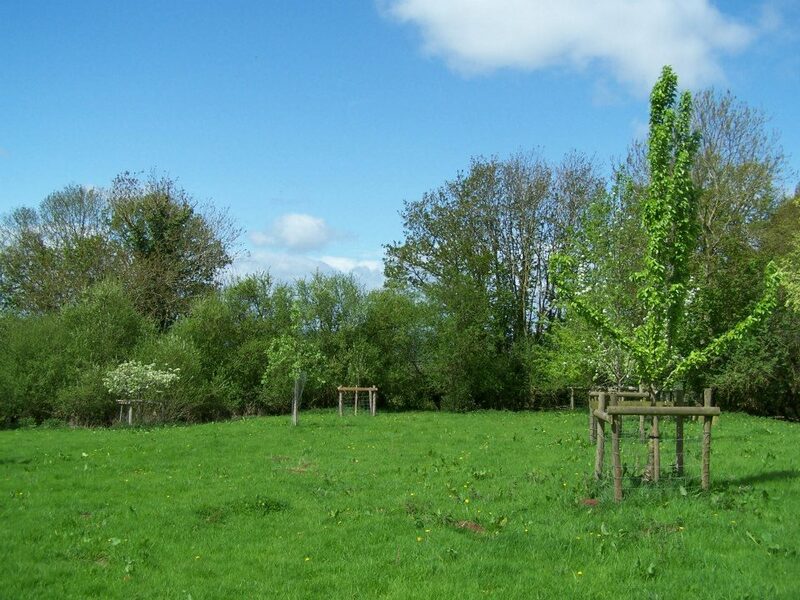 Situated on the outskirts of Hereford, Hampton Park Road Meadow consists of a small field of semi-improved grassland, with a scattering of orchard trees, fringed by derelict and newly-planted hedgerows and some mature trees. The orchard trees include a number of mature and over-mature dessert and cider apples. These trees support their own range of invertebraes and provide food for visiting fieldfares and redwings in the autumn/winter. Hollows in some of the older trees may also provide roosting sites for bats. Several of the apple trees have growths of parasitic mistletoe. Several local-variety apple trees are being planted to replace dead or dying trees. At the southern end of the reserve a small remnant orchard has been replanted with fruit trees, including old varieties of apple and pear. Old, unsprayed orchards form a typical but vanishing Herefordshire habitat and current management is aimed at recreating such an orchard at Pool Ellocks. New fruit tree plantings include cider apples; Bergere, Early David, Hagloe Crab, Osier, Sainte Laurant, and perry pears; Beartree Squash, Brinarl, Greggs Pit, Rock, Stainton Squash and Teegar. There are also quince trees and a rare Whitty pear. A planting plan can be obtained from the Herefordshire Trust office. At the north end of the reserve adjacent to Long Meadows there is a small orchard of traditional cider apple varieties. Many of the trees are old and some have died. The orchard has its own community of lichens, invertebrates, birds and bats, and fallen fruit provides a regular source of winter food for redwings and fieldfares. There is a comprehensive review of all Herefordshire Nature Trust reserves on their website.